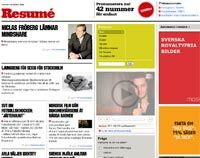 The online edition of Resume has been redesigned. In Swedish. Motion graphics exhibition in Stockholm, April 27: Don’t Call Me Susan. Redesigned site for Bjorn Borg Sports Wear by Starring. The winners of the Swedish advertising and design awards ”Guldägget” here. 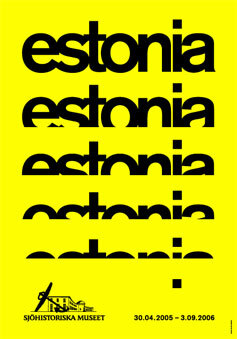 Gabor Palotai won the design award with a poster for the exhibition Estonia. 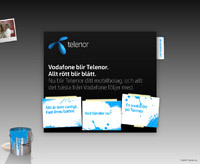 Red goes blue when mobile phone company Vodafone gets a new design profile and changes it's name to Telenor.